The Oklahoma City National Memorial is to remember the 168 who were killed, those who were survived, and those changed forever. 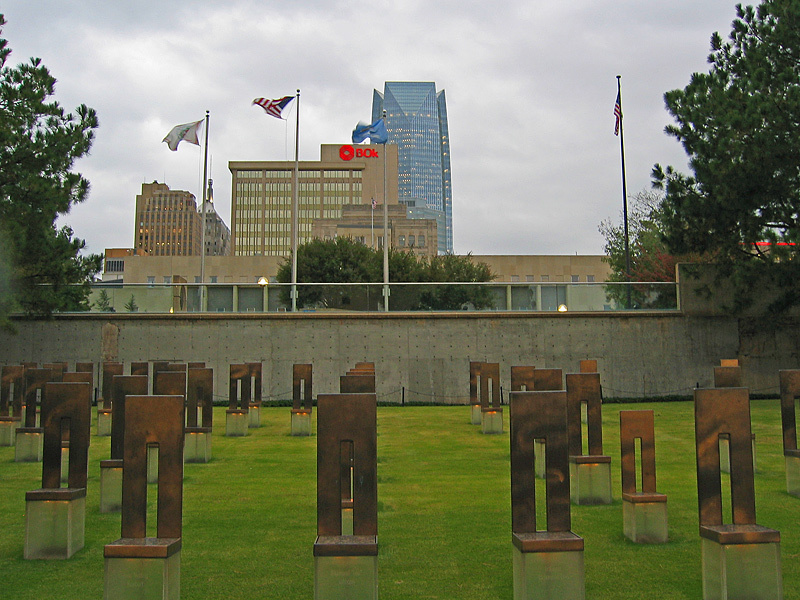 The Oklahoma City National Memorial is to remember those 168 who were killed and over 600 injured in the April 19, 1995 truck bombing at 9:02 PM of the Alfred P. Murrah Federal Building. It is the most significant act of terrorism in the United States except for the 9/11 attacks.